The career networking app’s CEO says Facebook will be dominated by “utilities” in the years to come, starting with ones like this. Back in 2003, LinkedIn made a splash when it created a way for professionals to network online. Eight years later, it is the dominant way white-collar America connects. But now, just as it’s headed for an IPO, it could be in danger of being unseated by an upstart that is not even a year old. 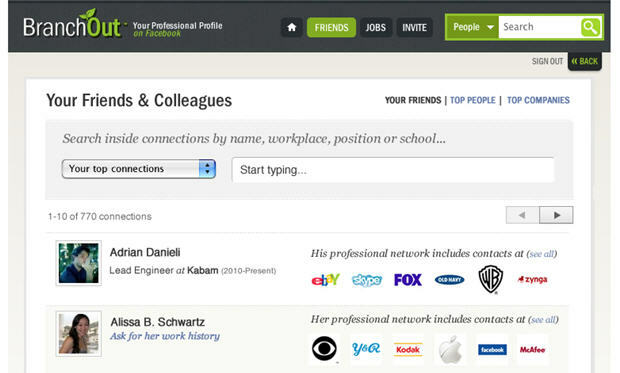 BranchOut works much like LinkedIn–users can post work histories, they can connect to other users on a professional basis (keeping those kegstand pictures private), and they can search for friends and friends-of-friends working at specific companies. But there’s one major difference. BranchOut is built on top of Facebook, and CEO Rick Marini believes that is what will give it both the scale and virality needed to become tops in the online career networking business. LinkedIn has 90 million users, though according to its S-1 filing, the number of active users is significantly less than that. Facebook has about 500 million active users, with many more likely to join in the coming years. Add to that the sheer number of hours people spend inside Facebook, and it seems like a natural place to capture their attention. And then there’s the fact that Facebook is increasingly the connection medium of choice for younger people, so much so than some aren’t even bothering to create LinkedIn profiles. BranchOut’s strategy also doesn’t limit itself only to professionals. Marini expects it to be used by anyone on Facebook “who cares about their career.” That includes people working in blue collar industries, as well college students, for whom an app like BranchOut will seem like a natural next step, once they get ready to enter the working world. 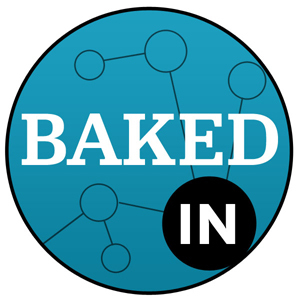 The wider base, Marini argues, will also bolster BranchOut’s revenue streams. Like LinkedIn, the company plans to make money in a variety of ways–through premium subscriptions, services for recruiters, and job postings. And with the blue collar market in the bag, the BranchOut job board, Marini says, won’t only be attractive to professional institutions, it’ll also attract business like the UPSs and Walmarts of the world. In the late 1990s, Marini co-founded and served as CFO and Chief Strategist of Tickle, the self-assessment test site that was bought by Monster for $94 million in 2004. Marini then created SuperFan, which built social games on Facebook for companies like CBS, MTV, and Universal Music. He said he got the idea for BranchOut last summer when a friend looking for sales leads into a particular company asked Marini for contacts there. So he built a widget that would let Facebook users see where their friends worked. That was the spark that lit the fire that has become BranchOut. The company closed $6 million in funding last fall, including from Accel Partners and Floodgate, as well as from Napster founder Shawn Fanning and former Facebooker and now Path CEO Dave Morin.